The primary purpose of military mining can be defined as the digging of mine shafts, tunnels and underground chambers, in order to place explosives directly beneath enemy trenches and strong points, powerful enough to destroy them. This method of attack is not new, it is believed that some form of military mining was used in ancient China hundreds of years before Christ. Offensive tunnelling was undertaken to destroy enemy strong points, whereas defensive tunnelling was undertaken to destroy the enemy’s tunnels before they had time to detonate their explosives. To destroy an enemy tunnel a relatively small explosive charge would be placed next to the enemy’s tunnel, big enough to destroy it, but not big enough to rupture the surface. These small defensive charges were known as camouflets. Aerial photograph of St Eloi, near Ypres, Belgium, 27 March 1916. The tunnelling companies also constructed deep dugouts for men to shelter in, and shallow tunnels dug towards enemy lines (Russian saps) to enable troops to get nearer the enemy in relative safety before attacking. Running parallel to the front line, tunnels called transversals were often dug and were used for listening, and as a starting point for more tunnels. During the Great War both sides employed thousands of men in military mining, and exploded hundreds of mines. The effects of mining were immediately obvious. 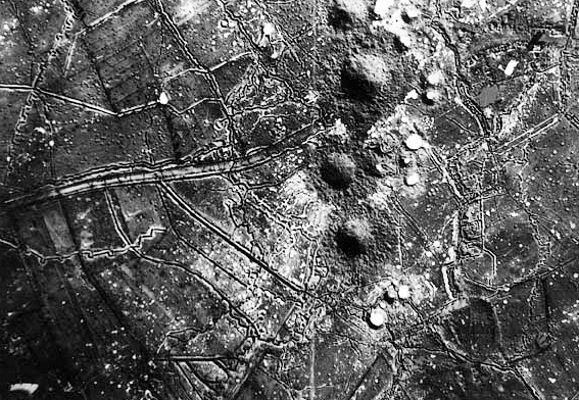 Strong points were blown up, men were buried alive or killed by gas or blast and craters were formed. There was also the demoralising knowledge that just below, the enemy may be tunnelling and about to blow you sky high at any second. By November 1914 neither side had won an outright victory. The war of movement when the opposing armies had tried to outflank each other, whilst fighting through France and Belgium, in what became known as ‘the race to the sea’, resulted in a line of opposing trenches stretching some 400 miles (640 kilometres), down from Nieuport in Belgium through France to Switzerland. Barbed wire in front of deep trench systems coupled with the modern fire power of artillery, machine guns and rifle fire ensured that no way could be found to successfully break through enemy lines. Thus the age old concept in siege warfare of tunnelling underground to attack the enemy became a necessity. The Germans were the first to use underground explosions to destroy defensive positions, against the French in November 1914, and then against the British on 20 December 1914. At the southernmost point of the British line near Festubert, ten mines were exploded (eleven were laid but one failed to detonate). They went up along about 1,000 yards (915 metres) of trench held by the Indian Corps, the Sirhind Brigade. The violent shock and surprise was so great that the survivors of the blasts quickly retreated, pursued by the Germans who took the vacated positions quite easily. Many of the men killed by the explosion showed no outward sign of injury, having been killed by the concussion from the blast. So great was the shock to the Indian forces that they had to be temporarily withdrawn to the reserve. The soil in the ‘Flanders clay plain’ consisted of wet sandy clay, and at the start of the war the British army had no dedicated tunnelling companies, and as no one was trained to deal with it early British attempts at mining were unsuccessful. Around mid December 1914 British forces had made an attempt to lay a mine under German lines. On the Festubert front a shallow gallery was dug for about 70 feet (21 metres) towards the enemy and a charge of 45 lbs of gun-cotton was put into position, but enemy shelling caused the workings to be abandoned. The first successful mine to be exploded by the British occurred on 17 February 1915 at Hill 60. Its effect was not very large, and it was only partly British, having been started by the French. But it was the start of much greater things to come. Lieutenant General Sir Henry Rawlinson wanted to form a dedicated mining battalion, but the Army Commander Sir John French, instead ordered the Royal Engineers (RE) to dig retaliatory mines. Unfortunately the RE were unable to carry out the order as they did not have enough trained men. Under their own initiative, Brigade commanders began forming their own mining sections and attached them to a RE field Company. Around that time a quite remarkable man called John Norton Griffiths became involved and was undoubtedly the biggest single influence in getting the British tunnelling effort up and running. He was born in Somerset on 13 July 1871 the son of a building surveyor, and grew up to become a flamboyant, dynamic, eccentric entrepreneur. He was not only a ‘larger than life’ character, but was of large physical build too. He was a restless young man, and aged 17 he went to Australia, working as an engineer, excavating and tunnelling. Some years later he moved on to south Africa, and again worked as an engineer. He fought in the Matabele War (1896-1897) and the Boer War (1899-1902). After the Boer War he built up a business as an engineering contractor, his company helping to build railways in Portuguese west Africa (Angola). His company also carried out works in America and England. 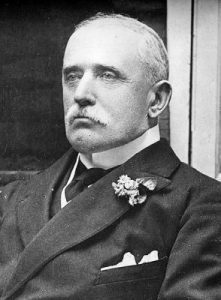 Norton Griffiths was not only a great patriot but from 1910 to 1924 he was a Conservative MP for Wednesbury, and was such a staunch advocate of Britain’s Imperial possessions that he bore the nickname ‘Empire Jack’. He foresaw that a war was looming and it bothered him that Britain seemed to being doing little to prepare for it whilst other nations were mobilising. He and a well connected friend, the Hon. Gideon Murray hatched a plan to raise an irregular battalion of retired, but experienced and tough old soldiers who had fought in past colonial wars. On 31 July 1914 an advertisement was placed in the ‘Pall Mall Gazette’. By 7 August some 500 old colonial soldiers had responded. 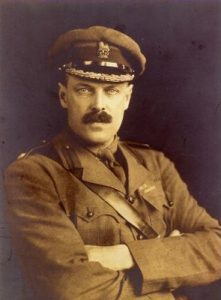 Despite initial opposition from the authorities, with some ‘string pulling’ from influential friends, on 24 August the unit was accepted, given the title 2nd King Edward’s Horse, and Norton Griffiths the rank of Major. When the war started Norton Griffiths’ firm was working for Manchester Corporation, digging tunnels for a drainage system. 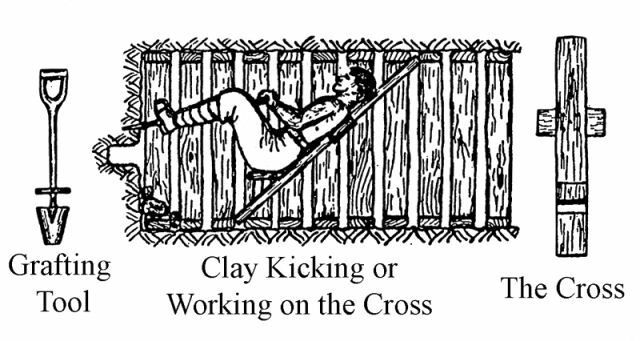 The soil they were tunnelling through lent itself to a technique called ‘clay kicking’ or ‘working on the cross’, whereby the digger used a wooden frame (known as a cross), which allowed him to lay back with his feet facing the workface. He would use both his feet to ‘push’ his spade into the soil, remove a chunk of it, and pass it over his head to another member of the team for disposal. The men referred to themselves as Moles. No doubt Norton Griffiths had heard about the German mines, and the difficulty British soldiers were experiencing in trying to mine the soft wet soil of Flanders, and in December he decided that the men digging the Manchester sewers, his ‘Moles’, might be able to help the war effort. In soft sandy clay soils they would be able to dig very quickly and undermine enemy positions. So on 15 December 1914 he wrote to the War Office offering to take a group of ‘Moles’ over to France to see if the soil was indeed right for the clay kickers. His letter was duly acknowledged and filed under ‘Moles’. 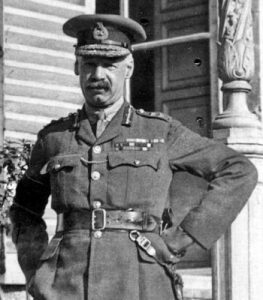 As previously stated, Lieutenant General Sir Henry Rawlinson wanted to form dedicated mining battalions but was overruled by Sir John French, who simply ordered the RE to carry out retaliatory mining. Despite the fact that the RE did not have sufficient trained manpower, nevertheless, in early January 1915 the 20th Fortress Company RE made an attempt to sink a mine shaft at Rue du Bois near Armentières, but without success. The shaft constantly filled with water faster than their out of date pumps could clear it. One day, with perhaps an uncharacteristic sense of humour, a board appeared above the German lines with, written in perfect English, the slogan ‘It can’t be done. We’ve tried’. The mining attempt was abandoned. Then on 25 January and again on 3 February 1915 more German mines were exploded under British lines, giving great urgency to the need for robust counter measures. 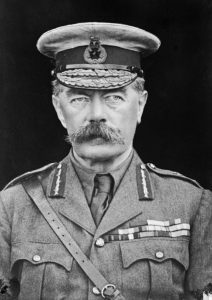 Finally on 12 February 1915 Norton Griffiths’ letter had the desired effect and he was summoned to the War Office to see Lord Kitchener. In a typical flamboyant, extrovert manner he took a shovel from His Lordship’s grate, laid on his back and gave a remarkable demonstration of the clay kicking technique. 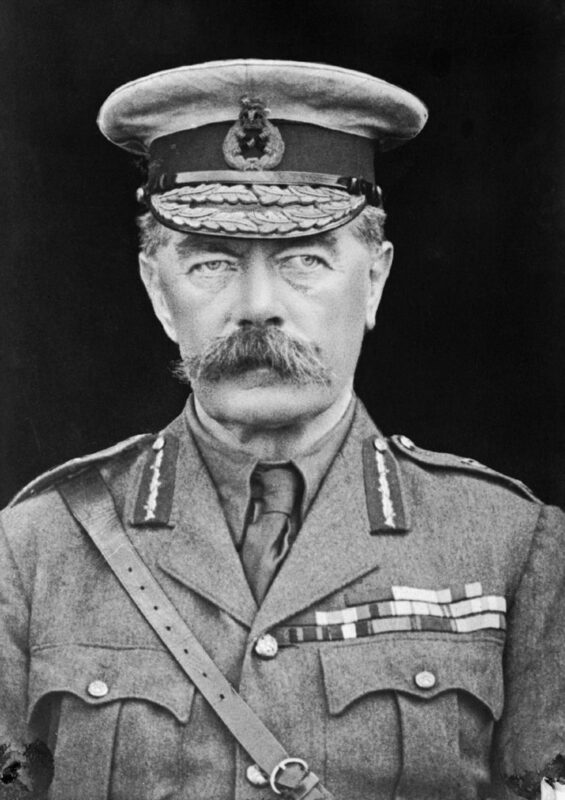 Lord Kitchener was impressed and demanded 10,000 clay kickers immediately! This response took Norton Griffiths completely by surprise, and he said he didn’t think there were 10,000 in the whole country, and he would need to go to France to be absolutely sure that the soil was indeed right for the clay kicking technique. Nothing daunted Norton Griffiths or slowed him down, so on the same evening he was on a boat to France to ensure the soil was indeed suitable for his ‘Moles’. The next day he met the Engineer-in-Chief Brigadier-General George Henry Fowke, and his team. He got on well with them all, and again laid on the floor to demonstrate clay kicking. By the end of the day he had convinced everyone, and approval in principle had been given to form eight specialist tunnelling units. Norton Griffiths was to act as a liaison officer for the newly set up tunnelling companies, and in keeping with his flamboyant ways he travelled around France and Flanders in his Rolls Royce, always driven at break neck speed by his chauffeur. Initially each unit was to comprise six officers and 227 men, consisting of a headquarters and four sections, but this revised from time to time. Initially all commanding officers were to be RE regulars but this requirement was soon dropped. Junior officers were to be mining or civil engineers. In addition to the tunnelling Sappers, large numbers of infantry were ‘loaned’ as labourers to carry spoil away or bring up mining supplies such as timber for lining the tunnels or explosives. The tunnellers were a motley bunch, officially soldiers but not very soldier like, signed up straight from civilian jobs, coal, tin and slate mining, from all over the country. They had little or no military training, some over 60 years old, and they were paid vastly more than the average infantry man, six shillings per day as opposed to the usual sapper’s pay of two shillings and six pence. The six shilling rate should have only been paid to the most experienced clay kicking miners but somehow less experienced miners were paid the higher rate, and arguments over pay differences continued until the end of the war. 1915 was a year of growth and change for the tunnelling companies. They had started from scratch and everyone was ‘learning on the job’. It became apparent that a more coordinated approach to mining was needed to ensure that all tunnels achieved the best tactical advantage. Previously Staff Officers with little or no knowledge of mining tactics had ordered tunnelling that had resulted in wasted effort. To coordinate future mining work and thus avoid wasted effort, on 1 January 1916 a new staff post of ‘Inspector of Mines’ was authorised, and filled by Colonel Harvey. Each Army Headquarters was to have a ‘Controller of Mines’ who were directly responsible to Colonel Harvey. One of the first actions of the new administration was to set up Army Mining Schools.Despite all the difficulties, by the end of June 1916 there were 25 British, three Canadian, three Australian and one New Zealand tunnelling companies had been raised, at their peak employing some 25,000 men. The composition of the ground to be tunnelled on the western Front varied enormously, requiring greatly different tunnelling methods. The La Bassée canal roughly forms a demarcation line between the soft waterlogged clay and sandy sub soils in the north, and the harder chalk formations to the south. Understanding the geology of the land where mining was to take place was essential in determining how deep it was possible to mine, how long it might take to tunnel through, or indeed, if it was even possible to sink a shaft. A knowledge of the water level was essential as the difference between the summer and winter levels could be as much as 30 feet (9 metres). In the early months of the war it was not generally realised that a knowledge of geology was essential to ensure successful mining, and many of the early uncoordinated attempts at mining were unsuccessful. However, once it was appreciated that a knowledge of geology is essential, qualified geologists were recruited, and British mining became more and more successful. At the start of the war the Germans were superior at military mining, but by the time tunnelling had ceased, British mining was superior. In May 1916 Major T.W. Edgeworth David, an Australian Professor of Geology at Sydney University, arrived in France. Originally from Wales, he brought with him much needed expertise. Under his direction, thousands of bore holes were made along the front to determine the make up of the soil below, and from these samples coloured maps were produced that indicated the type of soil below, and therefore what mining activity might be able to take place. Most of the junior officers of British tunnelling companies had been surveyors or geologists in civilian life, many working for mining companies, so were well equipped to deal with the problems that were encountered.